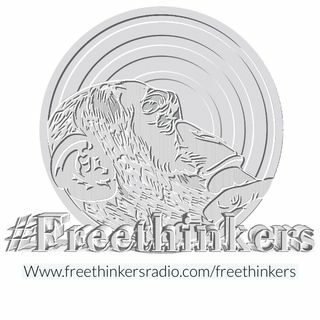 Freethinkers Radio strives to promote healthy conversations between diverse people. Hot button Topics and Great Music! Welcome to a new show that is unlike any other, where you will be entertained and educated by PR strategies in news, media and culture. We will cover topics like Kanye West's image/reputation, @beyonce's relationship with her audience (The BeyHive) and top social media trending stories. Not the 30 minute version for the Radio Station. Inspiring You to think Holy! Pastor Jake Whicker takes on controversial topics and answers questions on what the Bible says about today's issues. The Word in your Language. Taking the Word of God to the Streets. Exposing Gems in the form of millennial black women who continue to reign and enhance today's society with TiffanyJ. Award Wining Comedian Akintunde interviews some of the greatest minds about the most compelling issues of our day...and sometimes they answer the question...it's always fun! ESPN Columbia's Stacey Hough "The Huffster" and Chad "The Barber" discuss what's Buzzing in the News, Radio and Barber Shops. Wanna know what Women think? Well meet us in The Vanity Room! “Real Convo for everyday situations”.Nothing is off limits, Nothing. Bringing you the Sounds of Boots on the Ground! Christian Hip Hop News and Interviews. Every 3rd Wednesday of the Month.